You have quite a a few choices when it comes to fly fishing for Snook. The best times of the day are the first two hours in the morning and the last two hours of daylight, That’s not the only time you can catch Snook, but those are the two best times. There are days however when the tide can create some great Snook fishing in the middle of the day. We will never use live bait to chum fish and have you cast to them. We feel it is unethical and violates the “fair chase” principal that fly fisherman cherish. We will work very hard to make sure that you are casting to high percentage areas that we know hold Snook. Fly fishing can be one of the best ways, if not the very best way to catch Snook during a large portion of the year. This is the reason our charters depart early or late in the day. Do you want numbers of Snook, or do you want to try for one large individual fish. That is why we spend as much time on the phone with you as we need before your charter, it helps us build a plan based on what’s most important to you. The first thing you should do is to practice casting as much as possible with a 9wt fly rod. The most important thing to practice is minimizing the number of false casts needed to reach 50ft. 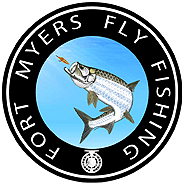 Please remember that we are busy most of the year, so it is important that you book your fly fishing charter as far in advance as you can. If your plans didn’t allow you to book early, let us know and we will work our other fly fishing clients to see if we can find a time and date that works for you.